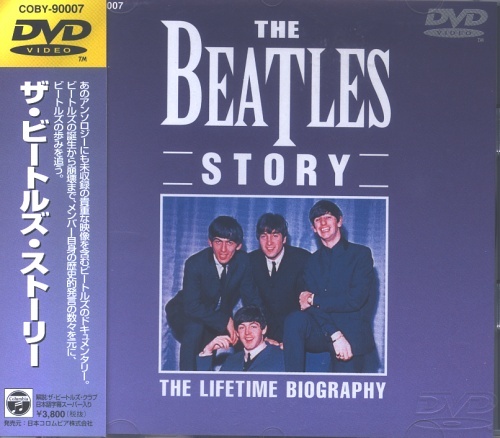 THE BEATLES The Beatles Story - The Lifetime Biography (1998 Japanese promo sample issue Region Two NTSC DVD, issued to reviewers ahead of the actual release date. Tracing the musical career of the 'Fab Four' containing extensive archival footage from critical moments in their career plus previously unseen material, retrospective interviews with a running time or sixty minutes. Custom stamped inner rim on the disc complete with picture sleeve & promo stickered obi-strip COBY-90007).